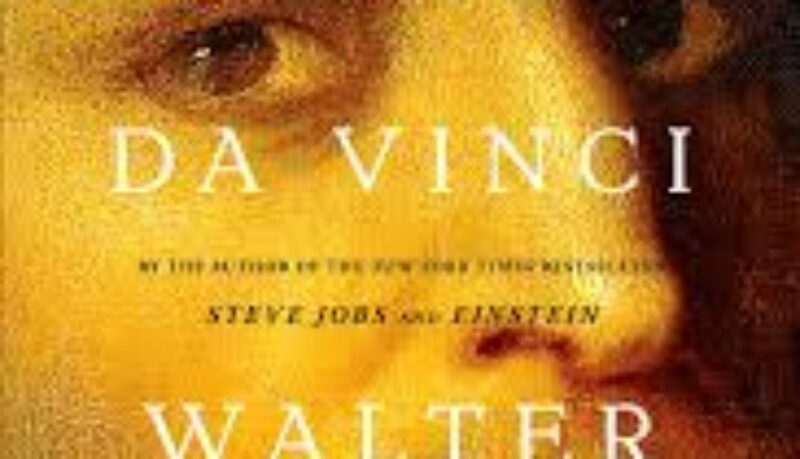 The biographer Walter Isaacson has recently published a new biography of the uomo universalis of all history’s geniuses, Leonardo da Vinci. 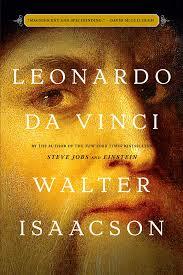 The book has immediately become a worldwide bestseller so apparently there still is need for more information about the Renaissance man Leonardo. From 1482 till 1499 Da Vinci worked in Milan for Ludovico Sforza and there is a lot to see in the city that reminds of the inventor and artist. To see (15 minutes per visit) in the Santa Maria delle Grazie church when you book well in advance or take a tour. 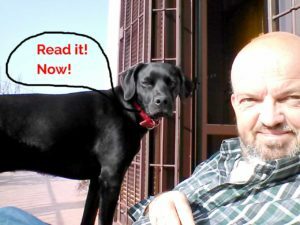 On how to get tickets for the Last Supper see my special blog post. The fresco isn’t a real fresco and started deteriorating almost immediately after completion (guarantee till the exit!). Restored at the end of the 20th century. It’s impossible to give an overview here of the wealth of exhibits presented at the Museo Nazionale della Scienza e della Tecnologia Leonardo da Vinci in Milan. 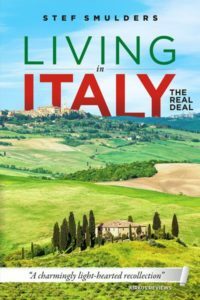 The excellent website (in English) will help you out here.The museum is housed in a former cloister (plus two new pavilions) and is the largest of its kind in Italy. Especially worth mentioning is the entire department dedicated to the inventions of Leonardo (rightly so as the museum takes its name from the Renaissance uomo universale), see again the excellent website. In the Palazzo Ducale of the Sforza castle you’ll find the Sala delle Asse decorated with paintings originally designed by Leonardo da Vinci. The Library of the art gallery has the Codex Atlanticus (the most important collection of his drawings) of Leonardo da Vinci on exhibit. The gallery itself exhibits the Ritratto di musica painting of Leonardo. To honor his father, the Duke of Milan Ludovico il Moro commissioned Leonardo da Vinci to make the largest horse statue of the world. Unfortunately Leonardo’s clay model was destroyed and the statue never came to be (designs of Leonardo’s hand exist though). It was only in the 20th century that American pilot Charles Dent decided that the statue should finally be realized. An new model was made and the enormous horse (7 x 9 x 2.4 meters) was cast in bronze in 1999. The horse statue can be admired in the Cultural Park of the Hippodrome San Siro. 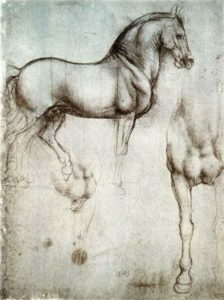 There is a copy of the horse in Grand Rapids, Michigan, USA and a miniature version in Allentown, USA and also in Vinci, Leonardo’s birthplace. The Galileo Museum in Florence has made a different reconstruction of the horse, in steel and fiberglass, also based on Leonardo’s designs. This is a new museum in the house where Leonardo owned a vineyard at the end of the 15th century, the Atellani House. Ludovico Sforza, Duke of Milan, gave the vineyard to Leonardo in 1498. The house is now a museum, cafe and bed and breakfast! The house is situated opposite of the Santa Maria delle Grazie church with Leonardo’s Last Supper. Skip the line last minute tickets for the Last Supper can be booked through the museum’s website.